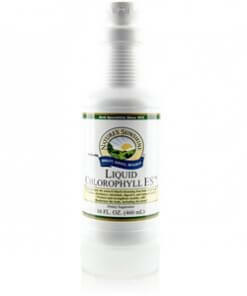 Nature’s Sunshine Chlorophyll ES is a liquid formula that helps protect and strengthen the body on a molecular and cellular level. The chemical responsible for nourishing plants through sunlight, chlorophyll, supports circulatory, intestinal, digestive, and immune functions. 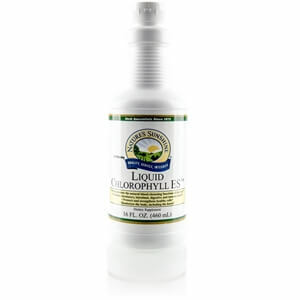 Chlorophyll ES works as a natural deodorizer and enhances energy levels, along with promoting a sense of well-being. Instructions: Mix 1 teaspoon (5 ml) in an 8 ounce glass of nature’s Spring water twice daily. Refrigerate after opening.